Orange is what that spells! O R A N G E! 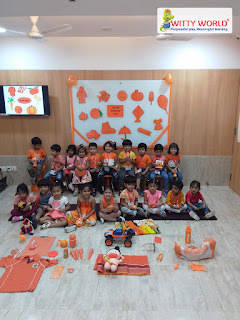 ORANGE! 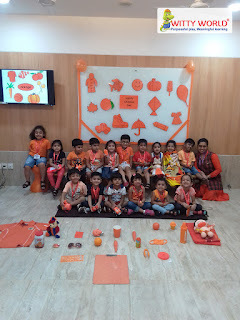 ORANGE ! 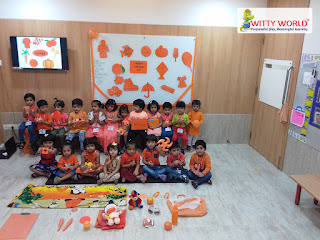 On Wednesday, 8th August 2018 the little Wittians learned about Orange color. 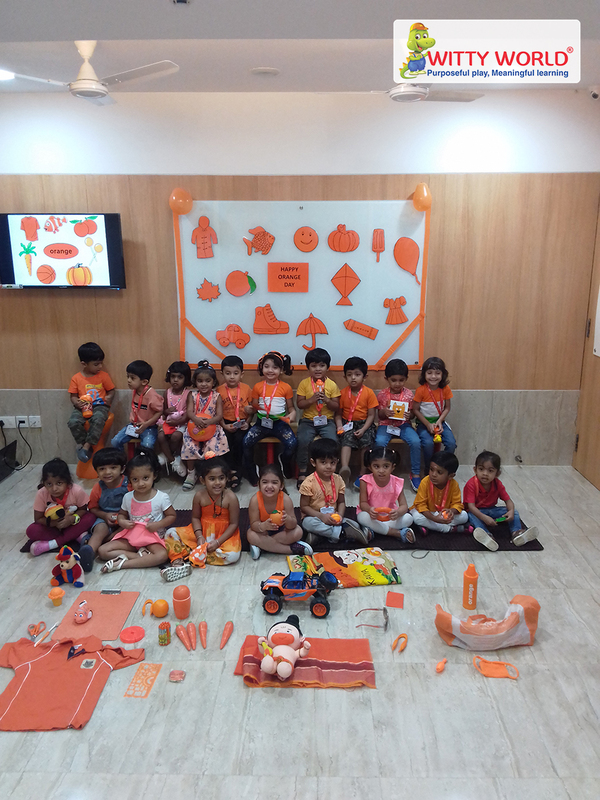 Children came dressed in orange colored clothes. 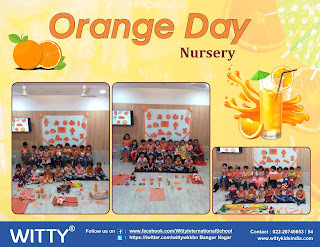 The classrooms of Nursery were pre decorated with orange color objects. 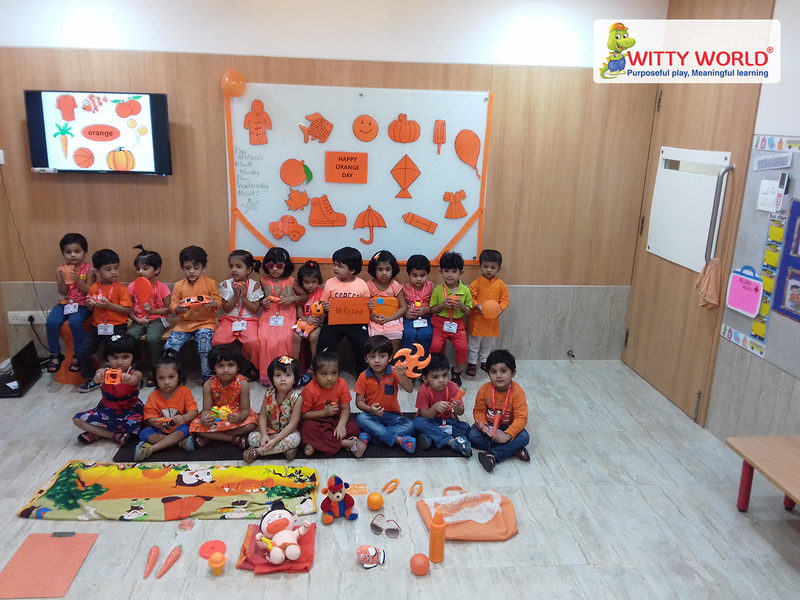 Children learnt that by mixing the two primary colors; red and yellow we get a secondary color - orange . 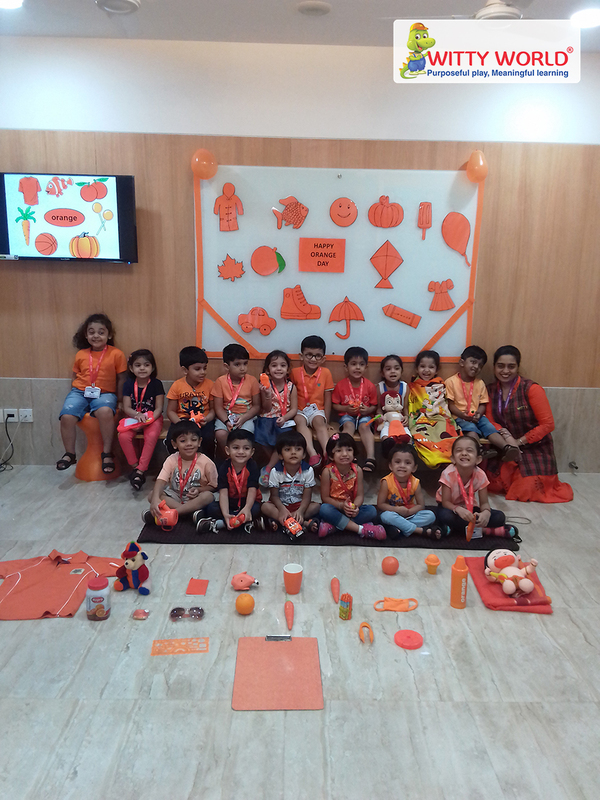 Children learnt about objects that are orange in color such as , orange, pumpkin, marigold. It was a fun-filled day for the children as they celebrated ‘Orange Day’.